Our water clean up process is structured, professional and scientific. When we designed our water clean up process, we had you in mind! Whether we are initially focusing on removing at-risk items to reduce losses, hauling away potentially dangerous debris, or quickly extracting the water to prevent mold or other health, our water clean up is designed for you. Asphalt, tar, oil, paint stripping, and coatings are common resurfacing materials used on our nation’s roads. When a vehicle is traveling on newly resurfaced roads, these contaminate materials “splash up” predominantly on the lower or “rocker panel” of a vehicle causing roadspray. Roofing materials such as tar, oil, and polyurethane foam can also be successfully removed from a vehicle’s surface. These road paint removal and road spray claims are very similar and commonly treated in the same manner as paint overspray restoration. Industrial Paint Overspray occurs when airborne particles from painting projects adhere to personal property located in the general vicinity of a structure being painted. This could be the result of paint being sprayed, rolled or even brushed where particles are carried in the prevailing wind. We remove difficult graffiti from your commercial vehicle or auto without repainting! Our process is more of an art than a science and uses top quality products and techniques to dissolve and lift tagging paint, marker, or other substances. As a locally owned and operated body repair shop, Metro Dent is the trusted choice of motorists and auto shops throughout the Dallas/Fort Worth area. In fact, we serve customers from Plano, Frisco, Lewisville, Denton, Carrollton, TX and beyond. Contact us today, and let our team put their service and expertise to work for you! Great people and great customer service! "Shout out to Jeremy, Stefanie and the gang. You did a fantastic job on my 2012 Honda Ridgeline. Looks the same as it did when I drove it off the showroom floor. Thank you." "My car was REALLY damaged in the recent hail storm and Metro dent seriously made it so easy. My car was done in a week and she's perfect. Becky and Stephanie were awesome, definitely going to be a return customer if I have to be, and with Texas weather, we know there's a great chance for that!!" Metro Dent is an outstanding company! "My car was damaged pretty bad and hail storms and Metro Dent made it look better than before. it looks new! they did an awesome job! great customer service and they have a great selection of loaner Vehicles there on the lot so you don't have to to go far for a rental." I will definitely recommend to all of my friends!! 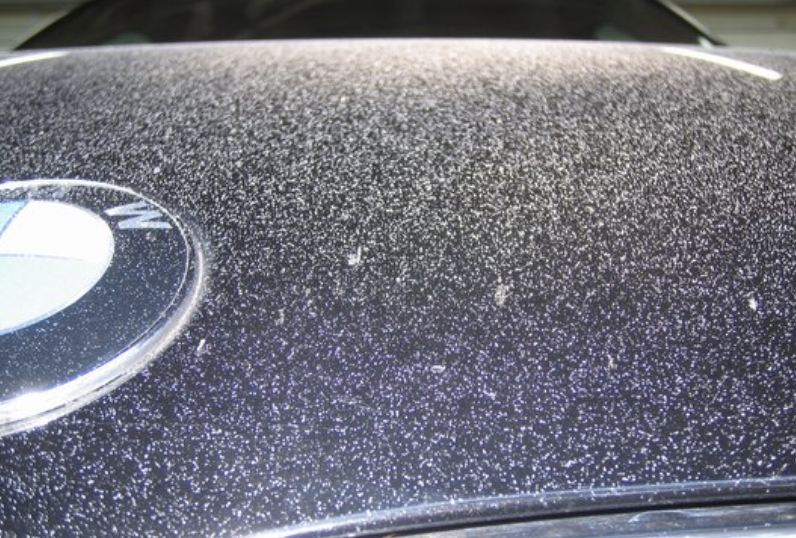 "I brought my Nissan Altima in to Metro Dent due to extensive Hail damage. I must say, I was very impressed. The metro dent team took great care of my car and kept me updated from beginning to end!!!" This company knows customer service. Hands down the best customer service I have ever received! "They do amazing work and make sure the insurance companies pay for what needs to be repaired and they did even more for me then what they needed to do. The best part is the owner and his wife are hands-on owners. They are always there and working with the customers and not hiding in an office. They certainly have my future business!" I had a great experience with Metro Dent! My car was so badly damaged from hail it needed a new hood, roof, and trunk in addition to all the other damage that was taken out. Will be bringing all my future business (hopefully that is not often!) to Metro Dent and recommending to friends and family." Fantastic experience on hail damage claim. "They delivered outstanding product and service can't say enough great things. Don't hesitate to use them!!" We had such a good experience here. "...And the car looks as good as it did when I bought it 2 years ago. Stefanie provided great customer service and even looked for my missing passport in the car, which didn't turn up." Very friendly, welcomes you as soon as you arrive. "Works with your insurance and rental car company and make this a easy process. Highly recommended." HIGHLY recommend them to anyone with hail damage! Metro dent did an amazing job! "They actually went above and beyond. I left with a free TV from a promotion they were running and everything went extremely well. My truck looks brand new. I highly recommend this company." Top notch service, highly recommend them!! Don't waste your time, just give them your keys you won't regret it. Best Dent Repair Shop in the Metroplex. If you don't use Metro Dent your wasting your good money. I can't recommend Metro Dent highly enough. I can not say enough good things about Metro Dent!! "They were very friendly and so helpful! I was so worried after the storm and they made the process so easy and painless and I can not recommend anyone better!! Thank you Metro Dent!" "Kept me informed through every step of the process. Helped me deal with the insurance agency. Put me in a car to drive while mine was being repaired. The car was also fully detailed when I got it back. Impressive in every way. If I ever need auto body repair in any form or fashion, I'm going to Metro Dent in Lewisville, TX"
We buy Hail Damaged Cars! For Paintless Dent Repairs, Collision Repair, and Body Shop Services, contact Metro Dent today.